We’ve been writing a lot about electric cars lately, and along the way we began to muse on engine noise. Electric cars, it’s no surprise, are silent. And though the laws on that are due to change soon, with the EU introducing legislation from July 2019 that all news EVs must produce a noise of 56dB(A) minimum, we’re a bit sad that sooner rather than later the loud roar of an internal combustion engine will be a distant memory. As neat as the sound of the new Jaguar I-Pace is, it just won’t be the same as the kind of noise their F-Type SVR produces. Yes, you can lease one of the fastest accelerating production cars in the world. With utterly ludicrous velocity, out of this world handling, and a pretty reasonable price (well, in comparison), the GT-R is without a shadow of a doubt Nissan’s finest hour as a manufacturer. From the break-neck acceleration of 0-62 in 2.7 secs to an engine that sounds like it’s creating the most powerful vacuum this side of Cern, you won’t get a faster lease. With a 5-litre supercharged V8 under the bonnet of the Jaguar F-Type SVR, you’ll be in for a treat the minute you turn on the ignition. And with a huge 543bhp and 680Nm of torque available at your feet the fun won’t stop there either. 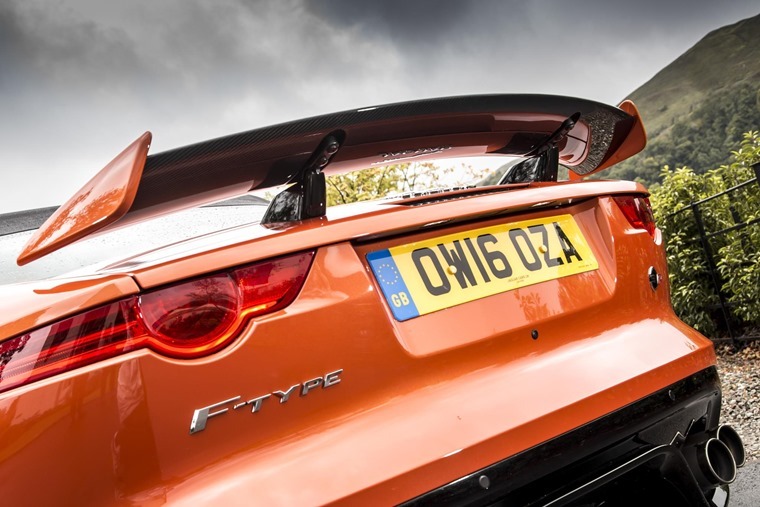 With a road presence increased by stunning sports car looks and punctuated by the long bonnet and short tail, the F-Type also offers thrilling handling and performance brake handling. And it’s not as impractical as you’d think either – with selectable driving modes at your fingertips it’s a good long-distance GT car when in normal setting but turns into something really special when you put it into Dynamic mode. What can we say about the V8 Ford Mustang that hasn't been said a million times before? Well, when it comes to the 2018 Mustang, it happens to be the fastest accelerating ever. This is thanks to an enhanced 5.0-litre V8 engine that offers 443 bhp, combined with Ford’s new 10-speed automatic transmission. Alas, even the Mustang must move with the times and from 2020, Ford’s iconic Mustang plans to go hybrid. Don’t swear at your screen just yet, Ford says it will still make use of a traditional V8, but for muscle car maniacs and petrolheads generally it will be a difficult idea to digest. Isn’t it nice when a car genuinely puts a smile on your face? With the Audi RS4 Avant that grin comes the moment you press the ignition starter and hear the twin-turbo 2.9-litre V6 spark-ignition engine roar into action. And with 444bhp at your disposal as well as 600 Nm of torque when the car hits 1900 rpm, it is a car that shows you no mercy. Offering real-world access to extreme performance via an intoxicating blend of every day usability and phenomenal pace, the RS4 Avant offers huge levels of ability and agility to give drivers something truly unique. The Giulia Quadrifoglio features a 2.9-litre twin-turbo V6. So what, I hear you mutter. So, it’s derived from Ferrari's turbo V8, hence this great sound. Producing 503bhp spinning to 7000rpm, all transferred directly to the rear wheels via an eight-speed automatic gearbox and a carbon fibre driveshaft, it’s able to go from 0- 62mph in just 3.9 seconds and all the way up to 191mph. All while sounding as good as it does.